I’ll be holding my annual acoustic guitar weekend workshop on Saturday 7th and Sunday 8th October and I’m delighted to announce that this year my good friend Thomas Leeb will be joining me for the whole weekend. Over the course of the weekend we’ll be looking at composition, arrangement, performance and technique through a study of repertoire and various exercises. Thomas and I have very different styles so you are sure to leave the weekend with new ideas, techniques and pieces under your fingertips! The workshop is limited to just 14 places and will sell out quickly – to book your place please use the online form and specify any dietary requirements if necessary. If you have any questions please don’t hesitate to contact us and Thomas and I look forward to seeing you in October! 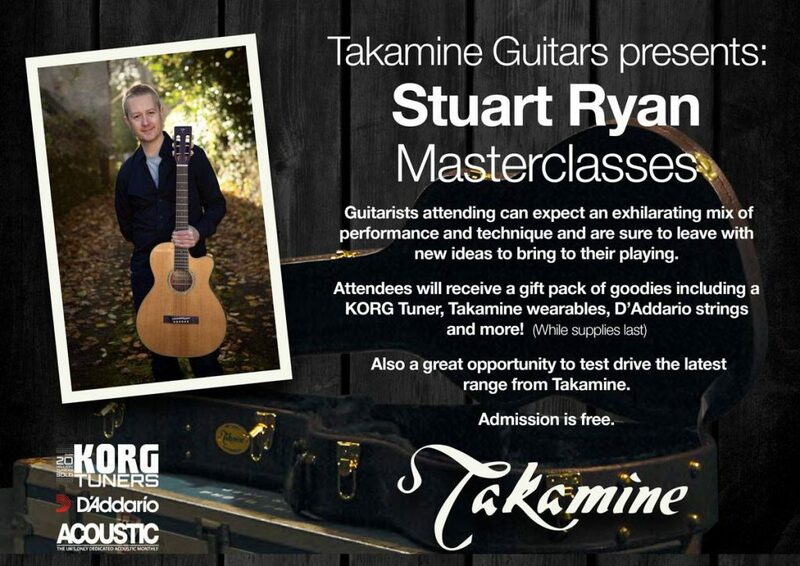 I’m on tour for Takamine Guitars with a combined gig/masterclass through November and December, can’t wait for these shows! I’m on the road next month for a few dates with my Three Colours Guitar Project – this also includes gypsy jazz master John Wheatcroft and modern acoustic master Declan Zapala. Dates are on the Events page, look forward to catching up with you at one of the gigs! New Fingerstyle Book/CD Available Now! 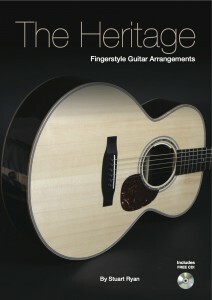 I’m delighted to announce that my new book/cd of fingerstyle arrangements, ‘The Heritage’, is now available. This collection follows on from my previous book, ‘The Tradition’, and features 10 arrangements of some of the most beautiful pieces from Ireland, Scotland and the USA. I’ve crafted these arrangements to cover a variety of skill levels so hopefully there is something for everyone in there! 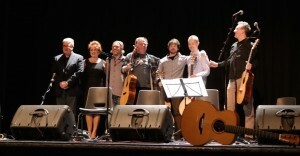 It was an honour to be part of the Eric Roche Tribute night at Haverhill Arts Centre last Friday Nov 13th. Also on the bill were Martin Taylor MBE, Clive Carroll, David Mead, Declan Zapala, Ravi and Nick Benjamin. We performed some of Eric’s piece and shared stories about him to a packed house, great to see that after ten years Eric is still well loved and remembered. Declan and I will be touring as part of a three guitar show next year including a return to Haverhill Arts Centre but more of that in 2016! The Way Home – Now available on CD and 5 Star review! Stuart’s new solo fingerstyle album ‘The Way Home’ is now available on CD from the shop and we’re delighted to announce that the album has just had a full 5 out of 5 star review from Guitar Techniques magazine who described it as “A knockout, intimate and beautiful”.